Acting, dancing, singing, directing – Aaliyah Wilkins pours every ounce of passion into what she is doing. That is why Aaliyah is our August Spotlight on Student Achievement in the Arts. Aaliyah Wilkins has been on the stage since she was three years old. 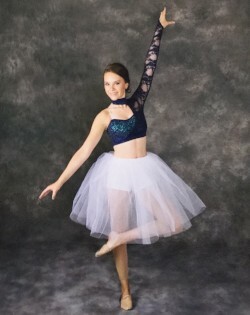 She started out dancing and began acting at the middle school level. At the age of 11, Aaliyah auditioned for a part in the Nebraska Ballet featuring the Nutcracker. She landed the role of Clara and absolutely nailed it. 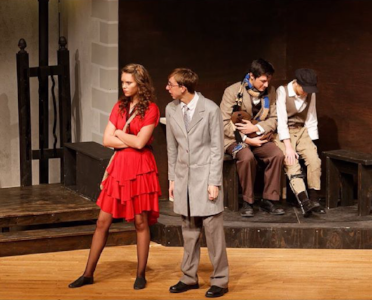 Now that she’s a senior at Cozad high school, she goes out of her way to recruit the young kids to audition for plays or the school musical and most recently is recruiting her peers to try out for One Acts who have never even stepped foot on the stage. This represents someone who is so passionate about the arts that she only wants others to see just how great it can be and wants to bring out the best of them like it has for herself. When she finishes a day of school, golf practice, and cheer practice, she heads to the studio where twenty some little girls gaze at her while she teaches them dance twice a week! Aaliyah also travels to Omaha to audition for Omaha Fashion Week. 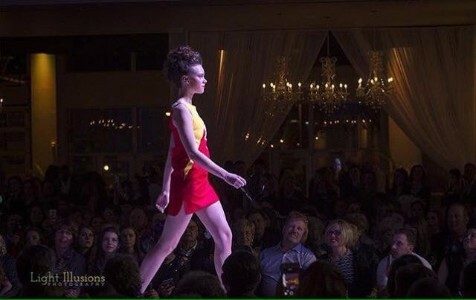 It has become the largest fashion show in the Midwest and Aaliyah has walked the runway four times.